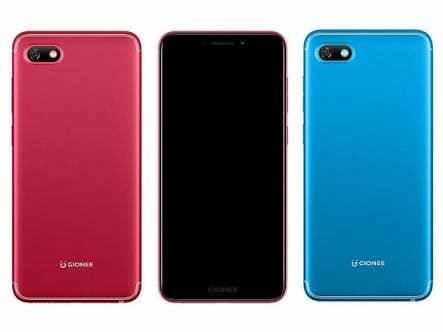 Gionee F205 has officially been launched in India with the S11 Lite as budget friendly beauties targeting those on a budget. Gionee is a Chinese OEM that makes quality smartphones that always sport an attractive body. The F205 is just one of those beauties from Gionee, a good looking smartphone with low-end specs for light users. There’s 16GB storage space, 2GB of RAM, an 8MP rear shooter and a bezel-less screen. Without further ado, meet the Gionee F205. 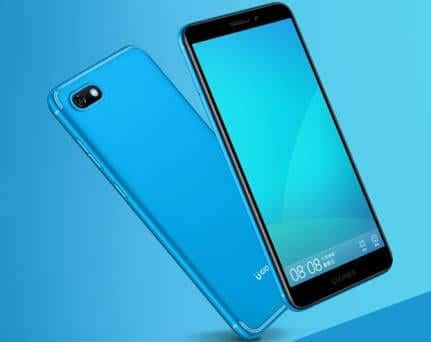 What is Gionee F205 Price and Availability Status? Exudes a Plastic and Metal mix overall unibody that’s inviting and appealing to look at. The dual curved antenna lines on this baby simply stunning and definitely adds to the beauty of the device. The rear camera and LED flash are horizontal at the top left corner. The Gionee logo is seen underneath, when you turn over to the sides, the volume keys and power button are present as usual. It weighs 7.95mm in thickness and weighs just 135.6g, which should be very light to hold when out and about. You can get it in Red, Black and Blue colors only. It’s a Full View year quite alright and Gionee is letting everyone know with the F205. With no narrow bezels in sight, you’ll get to enjoy taller visuals in landscape mode. There’s another Gionee logo at the bottom bezel which is quite unnecessary. The bezel-less display is a 5.45-inch HD IPS LCD capacitive touchscreen with quality detail. Boasting of 720 x 1440 pixels in resolution and 268 pixel per inch density, delivering quality visuals. Honestly, the screen is quite impressive for the budget market. Running the race here is the MediaTek MT6739 chip with Quad-core processor and 64-bit CPU architecture. The 4-Cores of processor here runs at the usual speed of 1.3GHz with 28nm process technology. While the PowerVR GE8100 graphics processor clocks at 550MHz. To multitask, 2GB RAM is available to handle all your apps with a memory speed of 640MHz. Internally, 16GB storage space is available to store all files and apps. You can easily upgrade up to 256GB using a memory card. Gionee F205 runs on Android 7.1 Nougat with Amigo OS 5.0 skin on top. There’s an 8MP shooter at the rear for photography with a LED flash as well. Gionee smartphones are known for their photography prowess, so the F205 should follow in that trend too. For selfies, the 5MP selfie camera does a clean job even in low light areas, capturing natural looking selfies. Powering the Gionee F205 is a 2670mAh non-removable Li-Po battery with no fast charging technology. Even without the fast charging feature, it shouldn’t take up to 2.3 hours to fully charge up the battery from 0% to 100%. 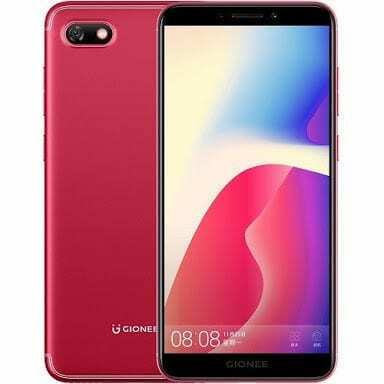 The Gionee F205 is available on Shopping stores from $99 (N35,000) to $149 (N50,000). Click on the links above to view the latest Gionee F205 price & availability on Shopping stores.